Let me preface this post by saying that I am not a Prince super-fan. I think he was an amazing musician, a distinguished songwriter, and a delightfully freaky performer. But truthfully I’ve only ever owned about four Prince albums (a drop in the bucket considering his massive discography), and would actively listen to them only once or twice a year. Prince’s passing has forced him into my consciousness and yours in a way that unfortunately nothing else could. Traveling from Little Rock to Eureka Springs (and back again) this past weekend, I had a blast listening to nothing but satellite radio’s Prince tribute station, and during these seven hours of Prince I thought a lot about his life, his image, his fans, and his music. I do recognize that there is seemingly no pressing need for me to throw my opinions into the endless pile of articles, blog posts, and tweets about Prince circulating through the internet, and I would not fault you if you decided to just listen to Purple Rain instead of reading this. But I feel compelled to talk about the Purple One because there are some things that need reiteration, there are some things I haven’t heard anyone else say, and there are some things that I have heard people say that I flat out disagree with. So here are seven thoughts on that peculiar and mysterious little rockstar we loved so much. While listening to the Prince tribute radio station, I heard a couple of soundbites from fans who had called in and stated that part of the reason Prince’s death is so tragic is that “there will never be that caliber of musician again” and that “musical artists today are not as good as Prince”— You’ll also see this sentiment echoing around the internet in numerous articles that claim that this 2016 is “the year that music died” (with legends like David Bowie, Merle Haggard, Glen Frey, George Martin, Maurice White, Phife Dawg, Prince and others all passing away). This is undoubtedly not true. Genius and true inspiration are certainly rare in music (as in any field), but also relatively consistent. Let’s not give up on music just because some of our favorite icons have passed away. Some people were likely making the same distressed cries about music being dead, and the loathsome state of current music back in August of 1977 after Elvis passed away, and then guess what: 8 months later Prince released his first album. Prince was a superlative talent and a true original and likely there will never be anyone else quite like him, yet it is a fallacy to think that there will not be new inspired creators to sing the songs of our time, win over our hearts, and make us party like it’s 1999. I love so many Prince songs, too many to name, but there are also a great many Prince songs that I don’t love. This is not a knock against Prince, it is simply a by product of the shear volume of work that he released. Prince released 39 studio albums and he allegedly has enough work in his vault to posthumously release over 39 more. Prince incessantly experimented with new sounds and songs throughout his career, and indeed some of these experiments fell flat. Even great creative geniuses produce sub-par work some of the time—this his does not diminish their genius. Indeed it was Prince’s willingness to experiment, take risks, and fail that allowed him to not only produce hit songs, but to create era-defining sounds that will be imitated for decades to come. 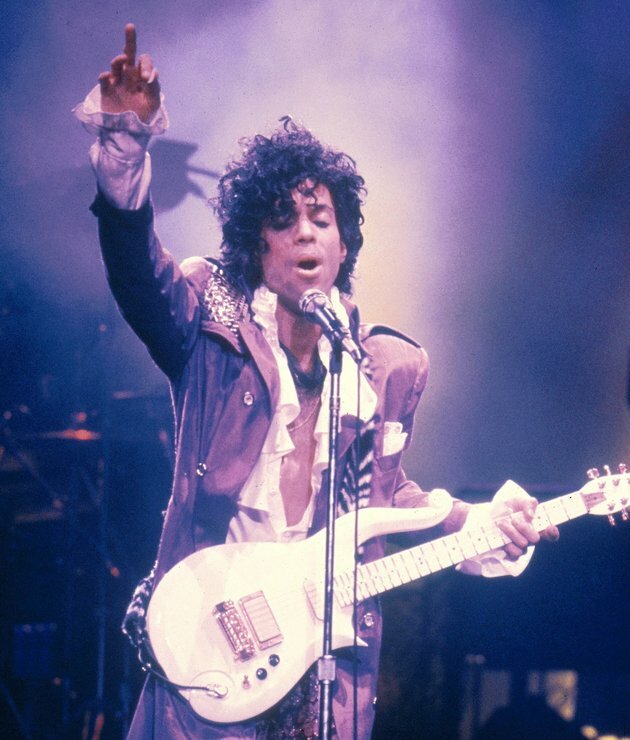 Prince boasted “there’s no particular sign I’m more compatible with,” but as a Gemini (born on June 7th, 1958) he was in fact generally more compatible with Sagittarius, Libra, Leo, and Aries. I don’t know what Prince’s life was really like and unless you were his close friend or family member you don’t either. What we saw was the celebrity—the image. We saw what Prince let us see, and he certainly didn’t let us see everything. By many accounts from people who knew him, Prince was a warm, genuine, and generous man, and I truly believe that he was a wonderful person. But it is important for me to also recognize that I did not know Prince the man. While most of us are mourning the loss of an icon, some are tragically mourning the loss of Prince as a friend and a family member. There are a great many things that might seem strange to you about Prince: his androgynous appearance, his genre-bending songs, his subversion of gender stereotypes, his secretive personal life, his religious sect, his many aliases, or anything else you want to name… Yet the most unusual thing about Prince is that he was incredibly famous. There are a great many people who seem weird or different (by the way if you ostracize those people, that’s your shortcoming and not theirs), but there are only a tiny handful people that that are a household name all over the world. That’s the strangest thing about Prince. The author Chuck Klosterman wrote a book called Killing Yourself to Live in which he argued and demonstrated that the best possible career move a famous musician can make is to die. It is certainly true that since his passing Prince has been the subject of innumerable news stories and sold an enormous amount of music (he reportedly sold one million songs and 231 thousand albums the day after he died). I admit that I’ve listened to more Prince songs in the past few weeks than I have in the past few years combined! We often appreciate someone more when they are no longer around— this is natural. Yet I hope that we can all recognize that we don’t have to wait until something is gone to appreciate it. Look to the living musicians, artists, writers, artists, and people in your life that you most care about; go see them in concert, write them a letter, take them to dinner, give them a hug— express your love and appreciation while they are here to receive it.